After the more recent incarnations of 007, James Bond fans must be mourning the loss of the once-compulsory gadgets. The good news is that they’ve not gone away, they’ve just been moved elsewhere. To another franchise that treats them with even less reverence. They’re now housed among a group of spies masquerading as an upper class gentleman’s outfitters, who made their first appearance a couple of years ago in Kingsman:The Secret Service. A title with everything you need to know. Its follow-up, Kingsman:The Golden Circle, has a more cryptic name, but the idea is still very much the same. In fact, even more of the same. The action picks up almost exactly where the first film left off. 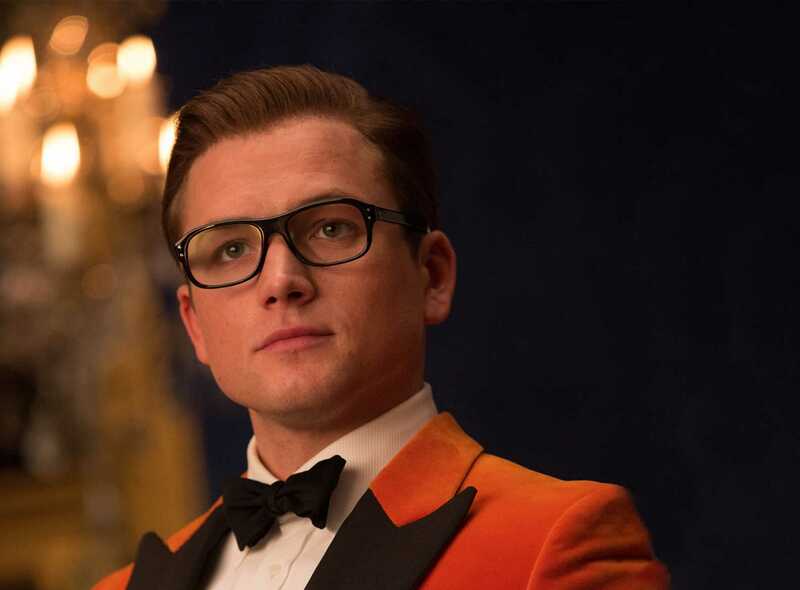 Still something of a lad, Eggsy (Taron Egerton) is now a paid-up member of the Kingsman organisation and has settled in with his girlfriend. But out of the blue the whole set-up is nearly wiped out: every building associated with Kingsman goes up in smoke and only Eggsy and scientific brains Merlin (Mark Strong) are left. Their emergency safe contains a bottle of sipping whiskey from the States, which leads them to Statesman, an allied organisation hiding behind a drinks business. And the two come together to track down who was behind the plot to exterminate Kingsman – the very same person who now has the world in their sights. Those gadgets range from a lasso that can cut somebody in half to a mechanical arm that would be more at home in Terminator. But director Matthew Vaughn has thrown everything bar the kitchen sink at this sequel, including beefing up the cast with some Hollywood heavyweights. There’s Jeff Bridges, Julianne Moore and Channing Tatum, plus a cameo from no less than Elton John. In truth, Tatum and Bridges have little more than cameo roles – Tatum spends most of the film out of action – and it’s only Moore who gets screen time worthy of her status and her talents. But the combination of those big names, the gadgets and all the action points to something of a cover-up. Strip them all away, and what you have left is a routine plot with some clichéd humour and a large helping of contrived predictability. The Statesman agents all have names linked to their cover story: Bridges is Champagne, better known as Champ, Tatum is Tequila and poor Halle Berry is saddled with the worst moniker of the lot. Ginger Ale. And just when you think Vaughn can’t stretch the point any further, he gives Julianne Moore a name with a built-in clue to her stock in trade. Poppy. The film is full of little knowing winks like that, as well as humour that concentrates on the differences between the English and the Americans. It doesn’t bring anything new to the table on the subject, just reinforcing all the old stereotypes. Not that it matters over much that you can see the attempts to make us laugh coming a mile away, or that the plot is decidedly weak. It’s just part of the fun, wrapped up in a fast, glossy and reasonably slick package. The result is a film that never takes itself seriously. Nor should it. Word is that a third instalment is on the way – and the final sequence of the film certainly points in that direction. We’re also given a cumbersome hint that the location could be Scotland. In which case, Matthew Vaughn must already be ploughing his way through 1001 Jokes About Kilts. Stars: Taron Egerton, Colin Firth, Mark Strong, Jeff Bridges, Channing Tatum, Julianne Moore, Halle Berry, Elton John and Pedro Pascal. Kingsman:The Golden Circle is out on the 20th of September. Elton John and Pedro Pascal.